So did you hear it's St. Paddy's day this weekend? Well, officially it's Monday but I'm willing to wager people will be celebrating on Saturday. It's a pretty safe wager considering I know for a fact there is a parade in uptown Charlotte on Saturday and a ginormous pub crawl. There's also a sweet 60 person wedding I'm coordinating at the Van Landingham Estate this weekend complete with a performance from the fabulous Walsh Kelley Irish Dancing School. AND it's a daytime wedding so I will be able to do a little celebratin' of my own Saturday evening! When I do celebrate I plan to have a little drink we like to call an "Angry Irishman." I dressed up my cocktail glasses a little bit with this fabulous burlap and chevron ribbon I found at Michaels. 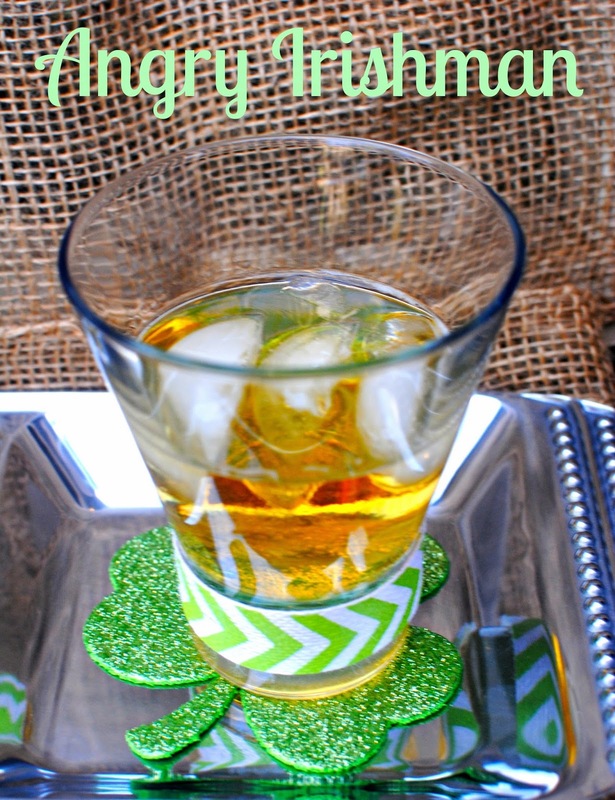 Tape it on the glass base with double-sided tape for an easy way to add some lucky green flair. And of course add some shamrocks - these were glittery, just like the Irish intended them to be. All you do is take your Angry Orchard Cider (also quite delicious on it's own btw) and pour it into your festively decorated glass. And voila - you've got yourself an Angry Irishman! Say it with an accent to really get the effect. There ya have it! 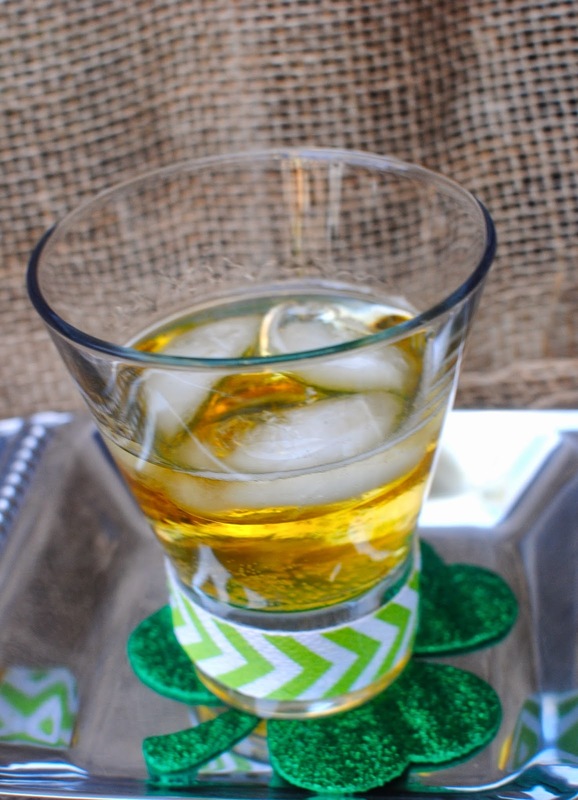 An easy cocktail to celebrate St. Paddy's Day! Have a great weekend and I'll be back next week with some photos from my wedding. Cheers! What a cute idea! I'm not a liquor drinker, but I bet my mother-in-law would like it! YUM! Looks and sound great and my husband would love it. So I wear many hats...here's one of them!